Add some yellows to your new season wardrobe with this beautiful peasant top. 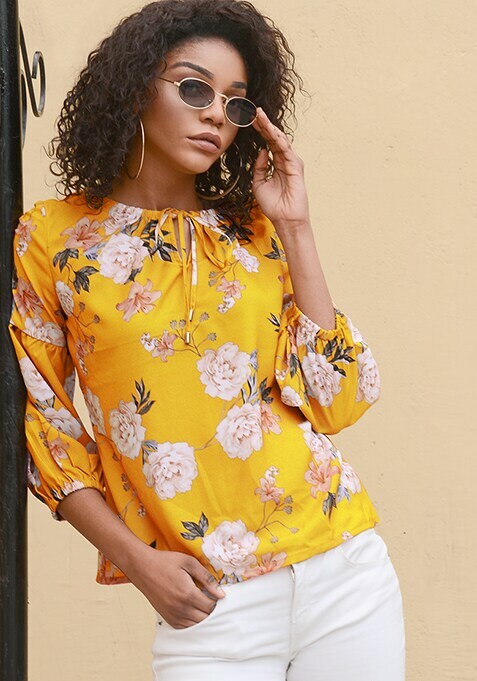 Featuring floral print, this top has balloon sleeves. Work It: Style this top with lightly washed jeans and comfy wedges for a totally fierce look.